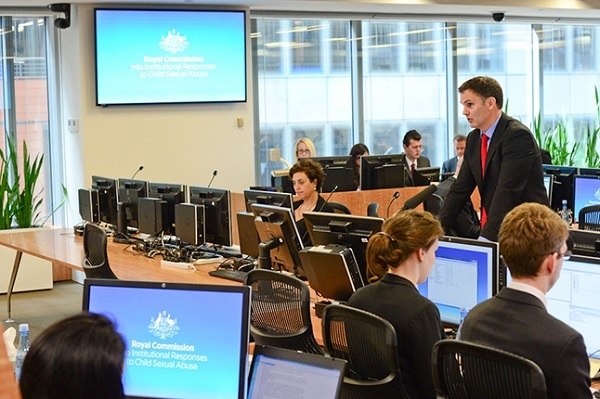 Any information you give to the Royal Commission in a private session is confidential. If the Commission needs to use it in one of its reports, it will keep your identity concealed. If the Commissioner who interviewed you wants to use any information from your private session in a subsequent public hearing, the Commission will ask you for permission first. Your information is entered onto the Royal Commission’s database, which is used to determine suitable witnesses for public hearings. 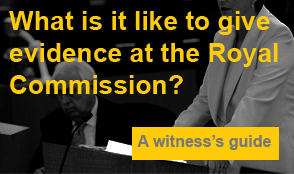 If your evidence has the potential to impact on the Commission’s findings, it will ask whether you would be able to participate in a more formal hearing. This could be a formal private hearing or a public hearing. Either way, if you agree to do this, you will need to swear that you have told the truth and the person or institution responsible for the abuse will have the chance to ask you questions. Will the Royal Commission get the police involved? In cases where a criminal offence has occurred, the Royal Commission will pass information on to the relevant state police force. This is particularly like if the Commissioner perceives that others may still be in danger or at risk. You may not be informed of this. The Royal Commission is not legally obliged to let you know. If a criminal case is launched against an abuser, you may be required to give evidence. This criminal investigation would be totally separate to the Royal Commission and you would probably be represented by a government lawyer from the Department of Public Prosecutions. 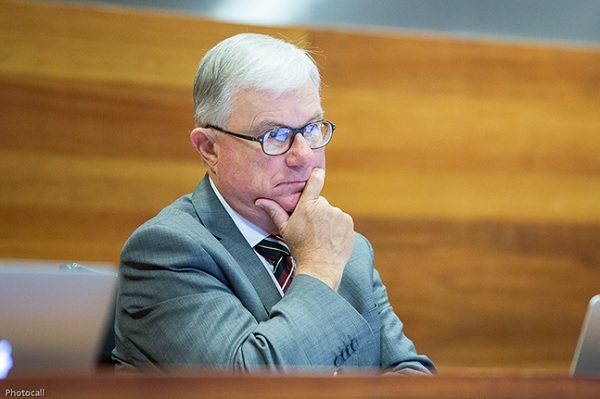 The Royal Commission doesn’t have the power to make decisions on criminal matters. Of course, it will be hard to tell your whole story to the Commission. But you need to make sure you don’t leave out the details. Peter and the Kelso’s team can help you make sure you share your story as you want to when you get to the pressure situation of your private session. The Commissioners understand the immense challenges of the situations. They understand how hard it will be for you to share your information and they will give you as much time as you need to collect yourself and get through your session. If you need help during your private session, there are support personnel provided by the Commission available to assist you at any time. Many people, including those who suffered abuse 30 or 40 years ago, break down in the course of telling their story and require the assistance of support persons to be able to continue. The recounting of those stories is often traumatic for the persons telling the story. Share your story with Peter and the team at Kelso’s and we can help to guide you on your journey to achieve justice.